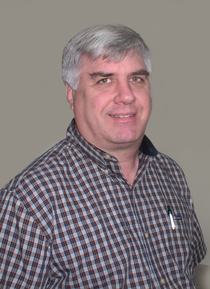 Dr. Robert A. Maier, D.C.
Robert A. Maier, D.C. has been a practicing Chiropractor since 1984. In 1994 he moved his practice to Sudbury Family Chiropractic from The Chiropractic Centre in Newton. Dr. Maier and his wife, Laurie MacLachlan Maier, a Sudbury native, live with their twin sons, Sam and Charlie, in Sudbury. He graduated from Western States Chiropractic College in Portland, OR. Through the years Dr. Maier has done post graduate work in orthopedics, neurology, ergonomics, whiplash, sports injuries, and pediatric chiropractic. He is an active member of the American Chiropractic Association and the Massachusetts Chiropractic Society. Since 1993 Dr. Maier has been a guest presenter at Harvard Medical School for their course on Complementary and Alternative Medicine, where he explores with medical students the clinical scientific and practical aspects of a chiropractic practice. Sudbury Family Chiropractic offers early morning and Saturday appointments. We are preferred providers for most of the major insurance companies including BC/BS, Harvard/Pilgrim, Tufts, and others. In 2007, Laurie MacLachlan Maier joined Bob in the office, providing care, scheduling and professional support. Take the first step to feeling better and call us today. Assisting families for active and healthful lives by combining a drugless and non-surgical approach to health care with the understanding that all people have unique problems and concerns. You may have spied Bob, camera in hand, catching some fantastic action photos of his sons in their many Sudbury athletic endeavors.